I finally did it! I am jumping into the blogging world! No turning back! You might ask what has taken me so long... well, I didn't feel like I had anything to really blog about. It wasn't until I went to a great presentation by 2 other librarians in my district that it hit me. I want a place where I can share what is happening in my library and in my friend's libraries, and learn along the way. 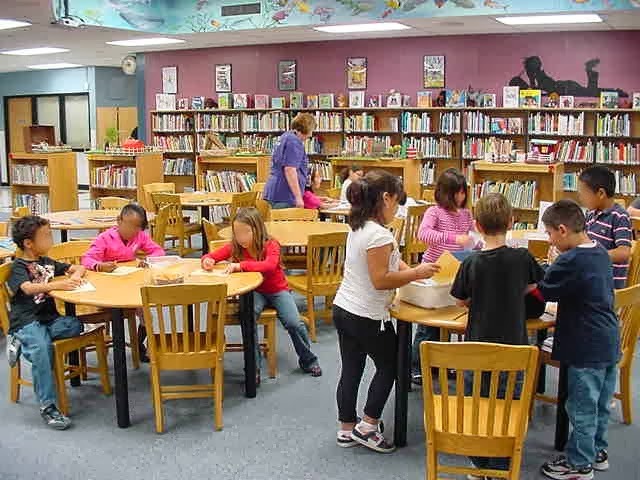 I want a place where parents and teachers can see what a 21st century library looks like. It's definitely not the same as when we were in school. Gone are the days of the librarian "Shh-ing" kids for being excited about books. Gone are the days of individual study carrels. 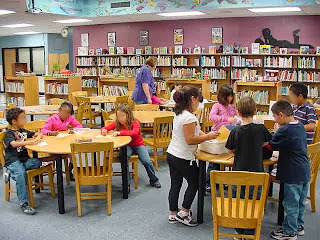 Libraries now are a place of noisy, active learning and working together. Kids talking and exploring and getting excited about learning. Teachers and librarians working together to enhance curriculum. That's what I want people to see. I welcome your comments, discussions, ideas and collaboration as I start this journey.